Frankie Whelehan the current Chairperson of the Triskel Arts Centre board, beginning in 2008. A leading figure in Cork’s business community, Frankie has worked in the hotel industry since the late 1980s. He founded Choice Hotel Group and operated as its managing director of up until its sale in early 2016. At its largest Choice Group boasted 24 hotels in its portfolio. In April 2016, Whelehan announced his purchase of The Montonette Hotel which boasts panoramic views of the city. Frankie also heads up First Choice Purchasing Ltd, a purchasing and procurement company delivering procurement solutions to its clients. He serves on the Board of the Fáilte Ireland Business Tourism Forum and is founder of the Daisychain Foundation, which provides breaks for families of children with disability within hotels around Ireland. Frankie is married with three teenage children and living in Cork. Liam has been the Cork City Librarian since 2004. 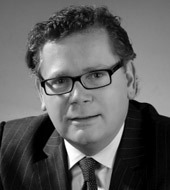 Liam joined the board of Triskel Arts Centre in 2007 and chaired it until June 2016. He had the great pleasure of being Chairperson when the enlarged and refurbished Triskel Christchurch came on stream in 2011. His job as City Librarian involves managing the seven libraries around the city, and the development of new services to meet changing needs, initiatives such as the Year of the Constant Reader in 2009, and the website www.corkpastandpresent.ie. Liam was born in Ballinacurra, on the eastern shore of Cork Harbour. He has a law degree from UCC, and a postgraduate qualification in library science from the University of Strathclyde in Scotland. Liam has been a librarian for more than 30 years, and has written and edited a number of books, mainly on local history. His work with the public library service has taken him to many parts of the country, including a long spell in Donegal where he was involved in setting up the Earagail Arts Festival and An Grianán Theatre, before returning to Cork. 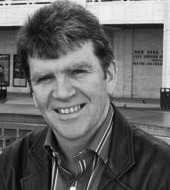 Oisín qualified as an Architect in 1987 in Dublin. He worked briefly in the United States and the United Kingdom, before starting work back in Dublin in 1990. 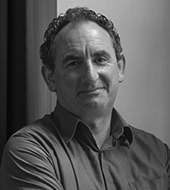 Oisín was the director of the Cork Office of Murray O’Laoire Architects until early 2010. Oisín is now a practicing Architect, and principal of Design Forum Architects based in Cork City. Oisín has been a board member of Triskel Arts Centre since 2008, and a board member/director of the National Sculpture Factory since 2005. Oisín has been the Chairman of the NSF board since late 2013, having been vice chair for the previous 12 months. Oisín was a panel member and adjudicator of the Cork ‘Better Buildings Awards’ for many years, and has been an external reviewer in the Architecture and Architectural technology courses in Cork School of Architecture CIT/UCC. 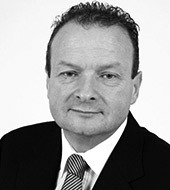 Chris is an elected and serving member of Cork City Council since 2002. He has been on the board of Triskel Arts Centre since 2007. Chris is a Master Jeweller, as well as graduate of University College Cork with diplomas in Community and Social Studies, co-operative trainers and organisers, and a professional degree in Youth and Community work. As well as having a professional interest in the community, Chris has spent the best part of over 30 years as a volunteer activist and has been involved in community affairs across Cork for the duration of this time. Chris has extensive experience of working with people through various mediums including the Arts to address issues of Anti-Poverty and Community Development. Chris serves on various boards including Arts, the Voluntary and Community sector. Since becoming a member of Cork City Council in 2002, Chris has served on the Arts Committee, making him one of the longest serving members. 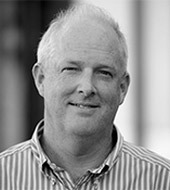 Chris previously spent time working in Latin America (Brazil, Chile and Uruguay) on a voluntary basis, most notably the Amazon Region, where he worked to document the lives of indigenous people and the implications of deforestation, environmental impacts, health issues, child prostitution, street children and Human Rights. Chris was elected Lord Mayor of Cork in June 2015, becoming the first Sinn Féin Lord Mayor in 90 years. Nuala Finnegan is Professor in the Department of Spanish, Portuguese and Latin American Studies and Director of Ireland’s only Centre for Mexican Studies. She is a graduate of NUI Galway, University College Dublin and holds a PhD from the University of Glasgow, Scotland. Author of several books in the area of Mexican contemporary culture, in 2011 she received the prestigious OHTLI award from the Mexican Government in recognition of her distinguished service in the promotion and dissemination of Mexican culture in Ireland. She is currently Head of the School of Languages, Literatures and Cultures in UCC and director of the newly established MA programme in Languages and Cultures. She has been on the board of Triskel Arts Centre since 2014. Prior to that, he served as Arts Adviser to the Department of Arts, Sport and Tourism, and was part of the programme team for Cork 2005: European Capital of Culture. Tony has extensive experience in the Arts over a 25-year period, and is a member of the boards of Waterford Spraoi. Tony served in Dublin as Director of the Fire Station Artists Studios for over 10 years, where he also co-chaired the North Centre City Community Action Project (chaired by the late Tony Gregory), and was a member of and chaired the ICRG (Inner City Renewal Group). He is also a Fellow of the Royal Society of Arts. Tony lives in Youghal in Co. Cork.